While the Android Wear versus Apple Watch debate is one that will divide fanboys and fandroids for months and years to come, there is obviously some cross over between the two biggest players in tech. 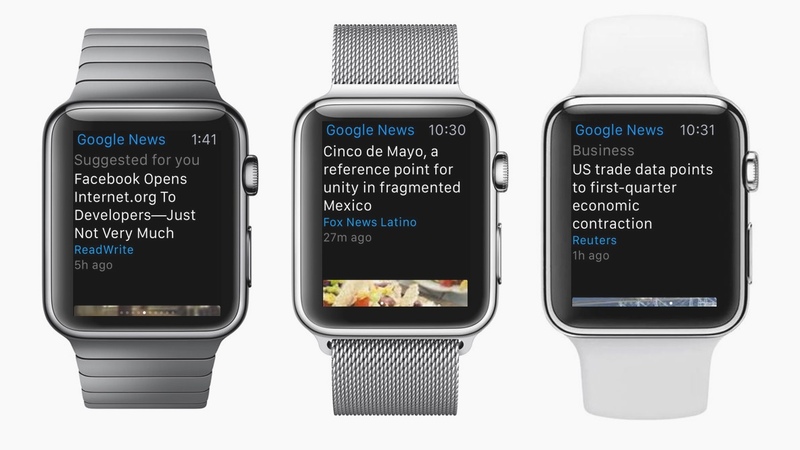 And now, for the first time, Google has penetrated the walled garden that is the Apple Watch with an update to its News & Weather app. Version 1.7.426 of the app, which has just landed in the Apple App Store, adds wrist-based notifications to the mix, meaning Apple Watch wearers can get their headlines and forecasts on the fly. We know, it's hardly the major Google app action that people want from their fruity smartwatch but it is an encouraging step for anyone waiting to see Gmail, Hangouts or Google Maps compatibility. Be sure to check out our guide to the best Apple Watch apps and also, if you're rocking the new smartwatch, take a look at our Apple Watch tips and tricks guide to ensure you're getting the most from it.